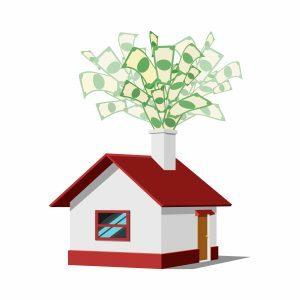 Is Your Roof Leaking Money? Did you know that nearly half of the money you spend on utility bills goes toward heating and cooling your home[i]? In many American homes, energy costs are literally going through the roof. Your roof is your first — and best — defense against the summer heat and the winter chill. A low-efficiency, poorly insulated roof can let in too much heat in the summer, leaving you with huge air conditioning bills. It can also let off too much warmth in the winter, leading to astronomical heating costs. According to HowStuffWorks.com, spending a little bit of money on a good roof now can save you a lot on heating and cooling bills in the long run. An energy-efficient roof not only protects you from the elements, but it also keeps your home cooler in the summer and warmer in the winter. Energy-efficient materials are also able to withstand the constant bombardment of ultraviolet (UV) radiation from the sun, extending the life of your roof. The most energy-efficient roofing products have a high solar reflectance, meaning that they reflect the sun’s energy back into the environment, rather than absorbing it. Reflective roofs can reduce the temperature on the surface of the roof by as much as 30 percent — which means that less heat gets into your home[ii]. The most energy-efficient roofs also have high emittance, which means they’re efficient at releasing any solar heat they have absorbed. Adding insulation can further increase your roof’s energy efficiency. R-value measures the ability of insulation to resist the transfer of heat. In colder climates, insulation materials that have a higher R-value can help trap heat inside the home and lower home heating costs. When choosing a roofing material, look for products that carry the government’s Energy Star label, because they can save you a lot on energy costs. The government created the Energy Star program to help promote the use of energy-efficient products. Only roofing products that are highly reflective are given the Energy Star label. These roofs can reflect enough of the sun’s rays to lower the temperature on the surface of your roof by as much as 100 degrees F[iii]. Saving money on roofing doesn’t end with picking the right materials — you also need to find the right person to install them. The Chuba Company has installed more than 700 roofs using our dedicated and experienced crew of professional roofers. We also hold an A+ rating with the Better Business Bureau and are GAF Master Elite certified contractors, a distinction held by only 3% of all roofing contractors. And when you compare The Chuba Company’s warranty against the competition, you’ll see the difference. And don’t forget – Chuba gives a lifetime workmanship warranty on all exterior work.